Happy summer! It’s hard to believe it’s already July, but I guess that’s a good sign we’ve been enjoying the summer in Seattle. The warm weather, late sunsets, relaxing evenings on the rooftop deck, grilling, and harvesting fresh goodies from the garden – it’s been great. And with the numerous upcoming trips ahead this summer and fall, I’m making sure I relish every minute of free time we have at home. 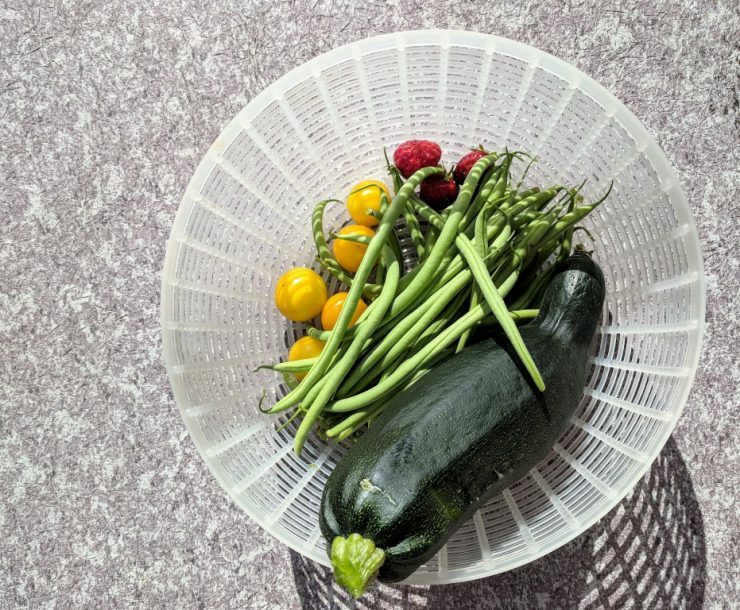 Today I harvested the first zucchini, green beans, and cherry tomatoes. Our rooftop garden isn’t huge, but I love that we have just enough space to grow some vegetables! Whenever spring and summer roll around, I have this constant urge to be outside, enjoying the weather. I think it stems from living in Minnesota most of my life. As soon as we escaped from winter hibernation and actually felt the warmth of the sun again, I knew I needed to take advantage of the opportunity to be outside before the cold weather inevitably returned. While it’s not quite the same in Seattle – the weather is much less extreme, and we don’t have crazy cold, snowy winters, I still have this strong desire to be outside when we have nice weather! In other words, my summer lifestyle involves less time in the kitchen, more salads and vegetables for dinner, a lot of grilling, and of course, some homemade mojitos. Less time in the kitchen means I typically don’t do a lot of baking in the summer, but every once in a while, homemade cookies sound too good to pass up! 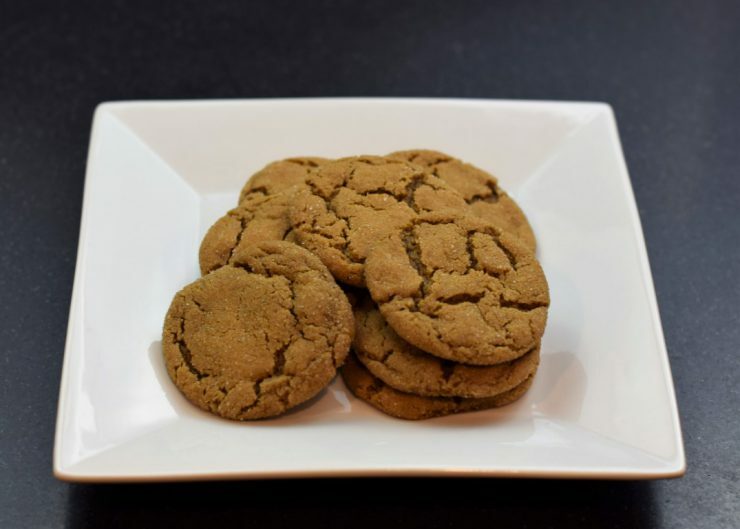 Gingersnaps are one of my favorite cookies I make at Christmastime, but I decided it was silly to only make them in December, so I pulled out my go-to recipe and whipped up a batch. And since I tend to go all in once I decide to do something (just ask Evan, I’m ridiculous sometimes), I made my favorite chocolate chip cookies too. Needless to say, we had an abundance of cookies, so I sent most of them to work with Evan. 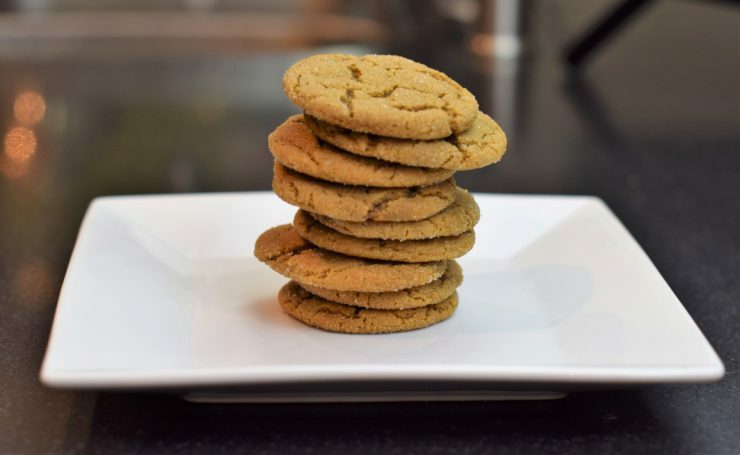 Gingersnaps are super easy to make and this recipe hasn’t failed me yet! To begin, preheat the oven to 375°F. 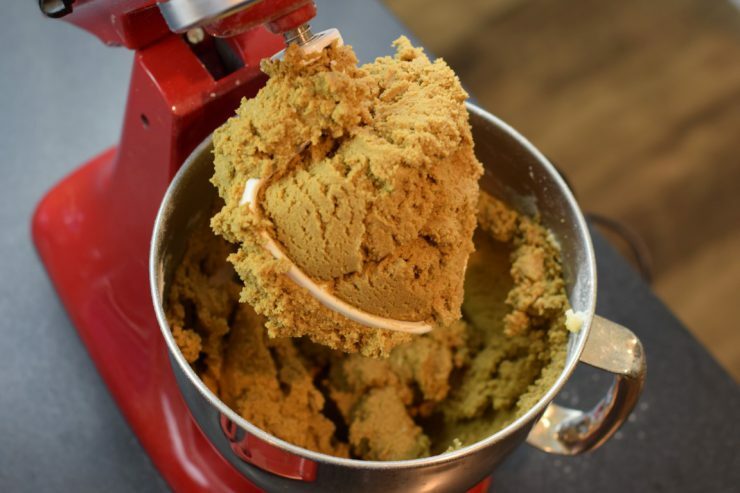 In a large bowl or in your stand mixer, cream together butter with 1 cup of sugar. Add in the egg and molasses and continue mixing until just combined. 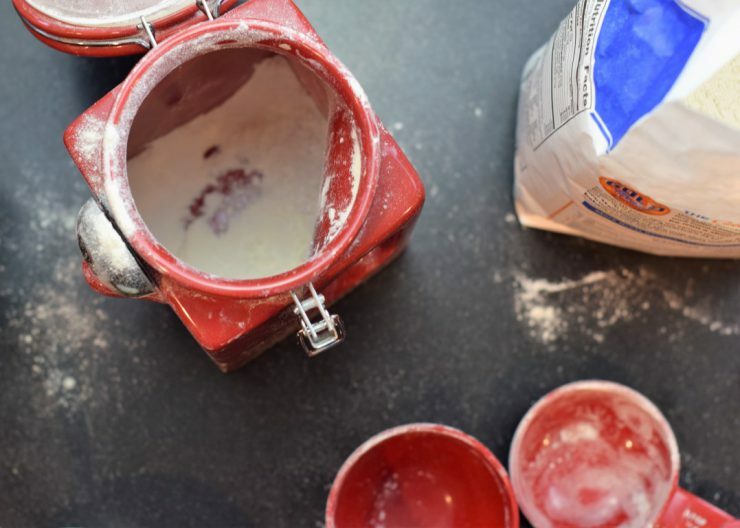 Sift together flour, baking soda, cinnamon, and ginger, then slowly add this mixture to the wet ingredients. Mix on low until the dough comes together. In another small bowl, add in remaining 1/4 cup of sugar. Form the dough into small, round balls, then roll each ball of dough in sugar. Once coated in sugar, transfer to an ungreased cookie sheet. Bake for 8 to 10 minutes, until lightly browned. 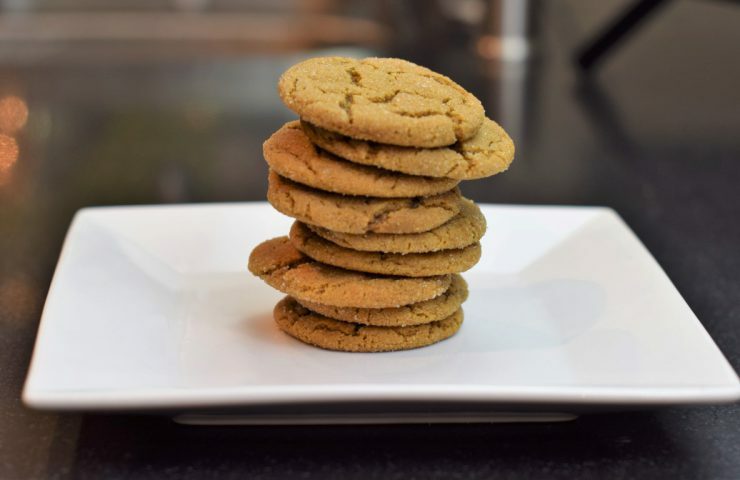 The cookies should be soft and chewy, with a slight crunch around the exterior. These cookies are my favorite right from the oven, but they store well in an air-tight container in the refrigerator for about one week. 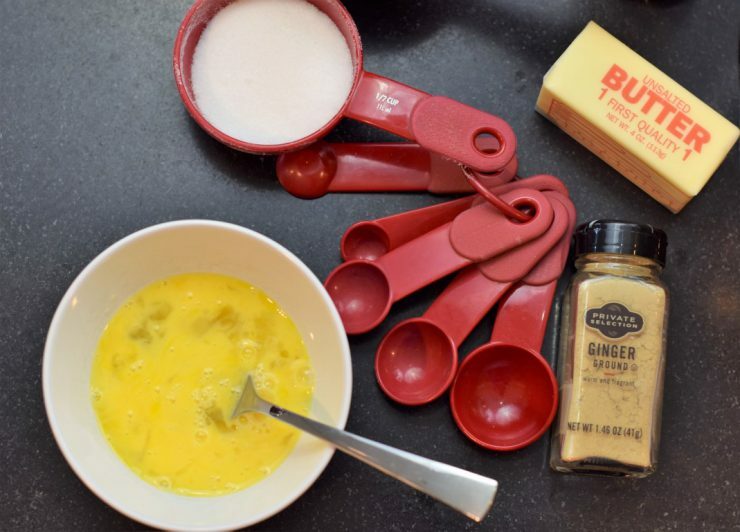 In a large bowl, cream butter and 1 cup sugar together. Mix in egg and molasses. 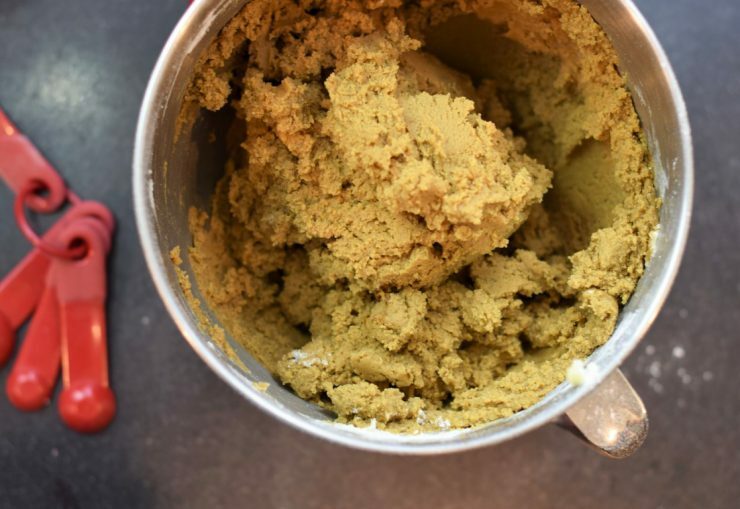 In a large bowl, sift together flour, baking soda, cinnamon, and ginger. Slowly add to the wet ingredients. Mix on low until the dough is combined. In another small bowl, add remaining 1/4 cup sugar. 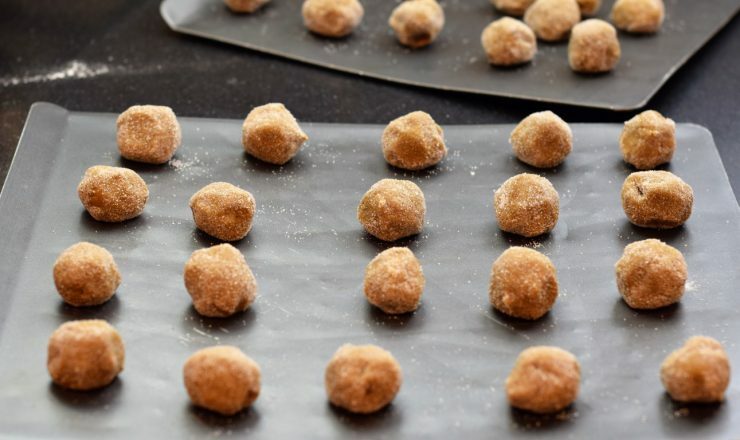 Form cookie dough into small balls, then roll in sugar. Transfer to an ungreased baking sheet and bake for 8-10 minutes. Cookies can be stored for up to one week in an air-tight container.